The backbone of the Dutch coffee-shop industry, the first of the "white weed" strains and an all-round commercial success story. 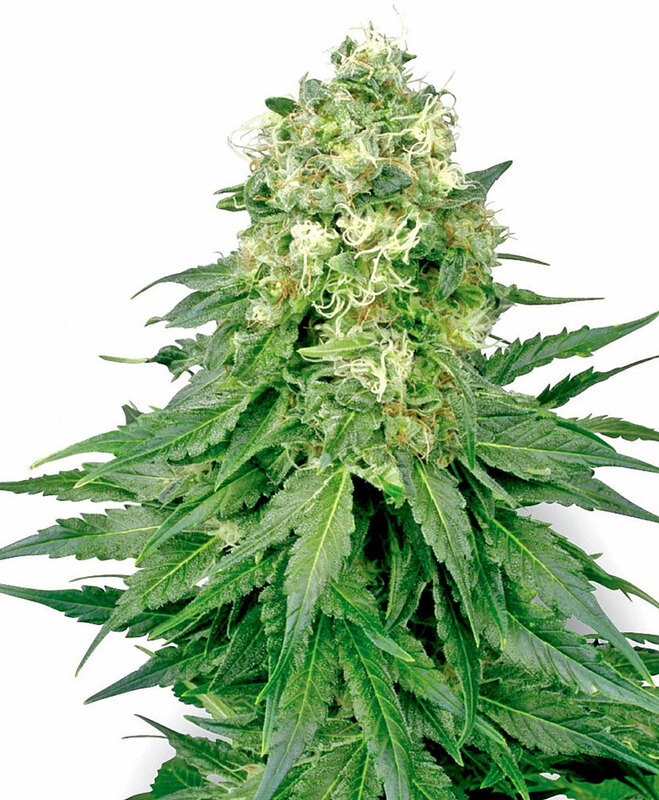 The backbone of the Dutch coffee-shop industry, the first of the "white weed" strains and an all-round commercial success story, White Widow is one of the most famous cannabis strains in modern growing. While this is partly due to her memorable name, her speed, yield and stunningly thick coating of trichomes have a lot more to do with it!Mostly-Indica, with sweet, thick, acrid smoke that imparts a hammering stone, White Widow is a major part of many visitors’ first experience of Amsterdam. White Widow grown from seed is very easy to clone, and is a good plant with which to perfect your technique. White Widow is a regular strain, which will produce male and female plants. The White Widow strain has large proportion of Indica genes in its background. White Widow will have a comparatively short flowering time. White Widow will have average height gain during flowering. White Widow can produce an outrageous amount of weed, but may require a little extra attention. White Widow can be grown outside in a warm, sunny climate with a long summer. White Widow Seeds is added to your shoppingcart!